A couple of weeks ago there was an article about the anniversary of the nomination of Sam Houston for President of Texas. What does this have to do with our exploration backwards you might ask? Well, the person who made this nomination was Phillip Allen Sublett, my second cousin 5x removed. It was on 15 August 1836; Phillip Allen Sublett made this nomination. This really puts into perspective of how long and deep our family lines go, as well as far they go as well. This is over 1000 miles southwest of where the original Sublett’s landed. These are the types of mysteries that keep me searching backwards. What other relatives do I have that made an impact on the formation of the United States or even an impact in their small world. 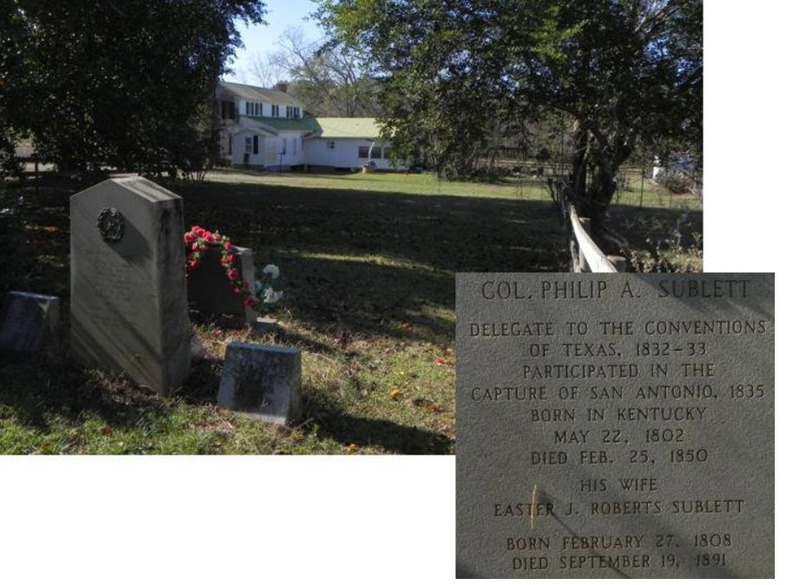 Phillip was one of seven children born to Abraham Sublett and Polly Smith. Abraham and Polly were born in Virginia but later moved to Kentucky with the westward expansion. There is an interesting fact that will require more research. I found that he immigrated to Durango, Mexico in 1824, and then 4 years later, he was granted Texas citizenship and settled near San Augustine, Texas. Why did he go to Mexico? He later became a great Texas citizen. Does this mean, when people call me a Yankee, I can say, actually, my family was Texan as well? Hmm. He married Esther (there are multiple names used for her including Easter and Hester) Jane Roberts, the daughter of Elisha Roberts, another Texas Statesman. Phillip and Esther had three sons, Franklin Bolivar, Phillip Allen Jr., and Henry Wilson. Phillip died 25 February 1850, with lung disease according to the US Mortality Schedule. This was an add-on to the census where they asked questions regarding deaths that occurred in the twelve months prior to the enumeration. Phillip was only 47 years old. Think about what he accomplished in those short 47 years. He was elected chairman of the San Augustine Committee of Safety and Correspondence. He was elected second judge of the San Augustine municipality. He led a group of men from San Augustine into Nacogdoches. He was commissioned a lieutenant colonel and later named an assistant adjunct general of the army. He served at the siege of Bexar. Sam Houston resided in the Sublett’s home in July 1836 after being wounded. Sublett also assisted with the development of Sabine.